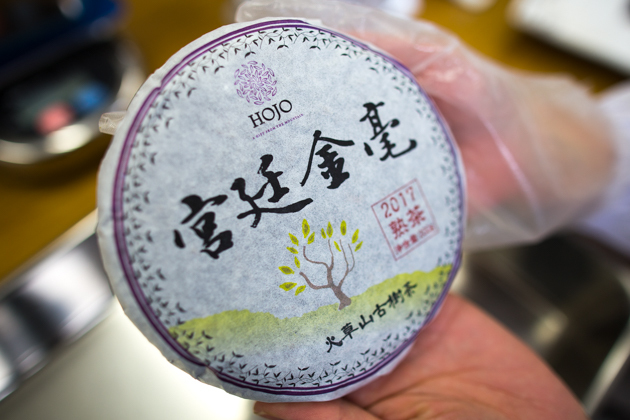 Now we got good news for the ripe pu-erh tea lover. We released Gong Ting Jin Hao 2017. 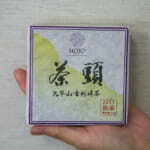 This tea was selectively made from our popular tea, the Huo Cao Shan ripe pu-erh tea. 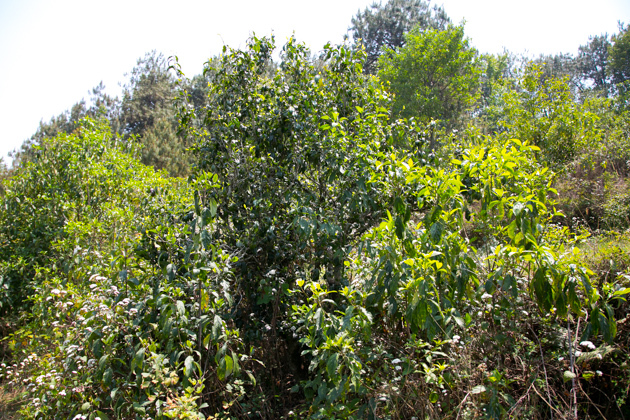 In Yunnan, unlike to the raw pu-erh tea, the ripe pu-erh tea is graded after the fermentation process is completed. 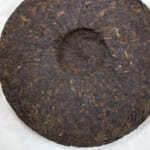 Ripe pu-erh tea is classified according to the portion of tealeaf collected after sieving. 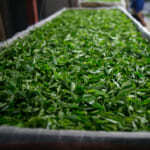 Usually, it is graded as Cha Tou, Gong Ting, Special grade, 1st, 3rd, 5th, 7th, 9th grade, stems and tea dust. 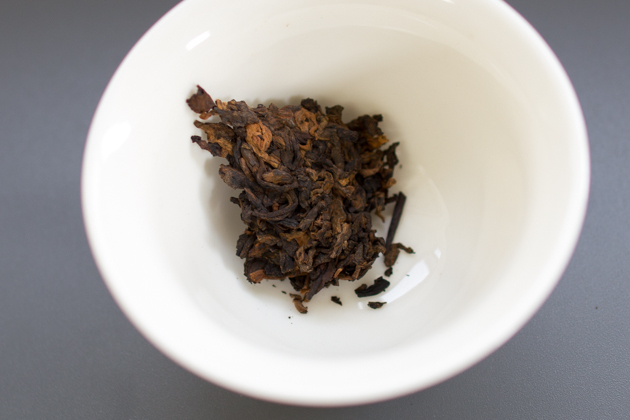 Gong Ting grade mainly consists of buds and usually it is the most expensive grade. It is expensive not because it is the top quality. It is expensive as it is very limited and precious, and the quantity is the smallest out of other grades. 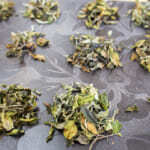 The tea that consists of mainly buds gives very mellow and smooth drinking sensation. 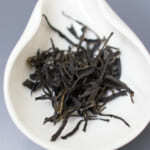 It gives lingering sweetness on palate thanks to the higher amino acid content in tea buds. The body of any kinds of Gong Ting grade is lighter. It is because body is made of calcium that exist mainly in tea stems. 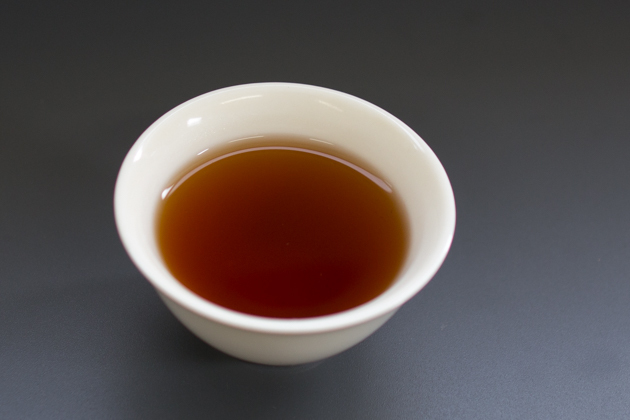 If you prefer fuller body, I recommend the standard ripe pu-erh or Cha Tou of Huo Cao Shan ripe pu-erh tea that consists of more stem and leaves. Gong Ting Jin Hao is made from the same batch of tea as our Huo Cao Shan Cha Tou 2017 and Huo Cao Shan ripe pu-erh tea. When you compare the Gong Ting Jin Hao made from Huo Cao Shan with the common Gong Ting grade, Huo Cao Shan’s consists of less golden tips. 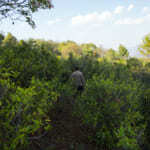 It is because tea is collected from very wild environment where the growing speed of tea leaf is not consistent. They do not grow and budding at the same timing like those garden teas. 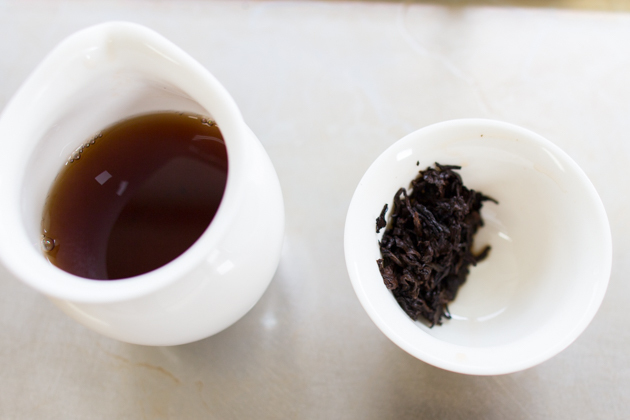 Please refer to the following article for Huo Cao Shan Ripe pu-erh tea. 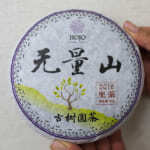 Huo Cao Shan ripe pu-erh tea is made from the tealeaf harvested from old tea trees left without any agricultural practice except for tea plucking in spring season. Because of the natural environment, tea leaves grow at very slow speed and as the result, it contains very high mineral and poly phenol. 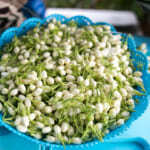 Thanks to these substances, it gives very strong aftertaste with lingering depth in taste. I think it is very rare to find the Gond Ting grade that after taste is as strong as this tea. 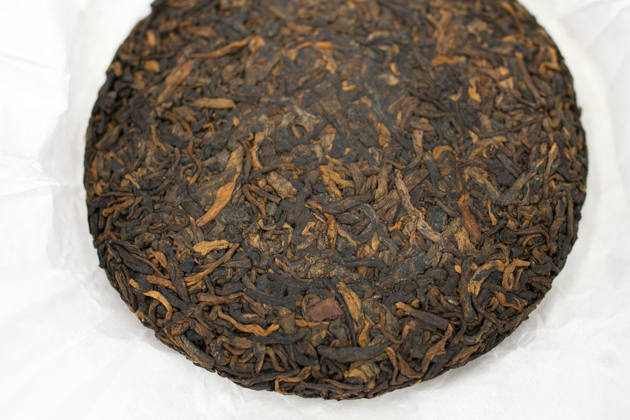 Many people describe ripe pu-erh tea has the smell like old furniture, mold or soil. 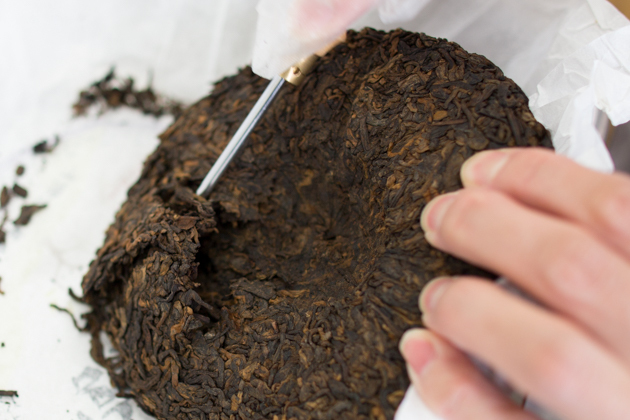 In fact, a lot of ripe pu-erh tea gives those odours. 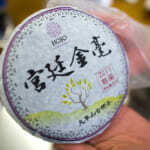 Some people think that the authentic ripe pu-erh tea must have earthy smell. For me, this is clearly the defect in tea making. Those awful odours often developed because of insufficient aeration during piling process. Due to limited oxygen supply, anaerobic bacterias take place in tealeaf. They are known to produce very bad smell. 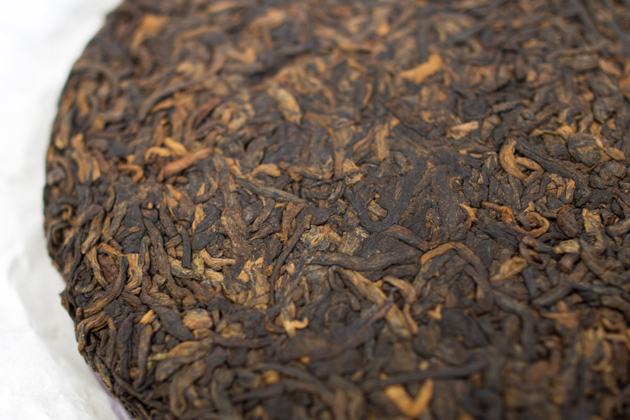 If tea is properly fermented, it gives sweet and dried-fruity flavour. Based on my experience, Gong Ting Jin Hao is the tea that ages faster than other ripe pu-erh tea. The more it ages, the stronger the fruity flavour it becomes. After a few years of storage, it develops the flavour like dried Chinese dates, Raisins or dried-Persimmon, sometimes the flavour reminiscent rum.